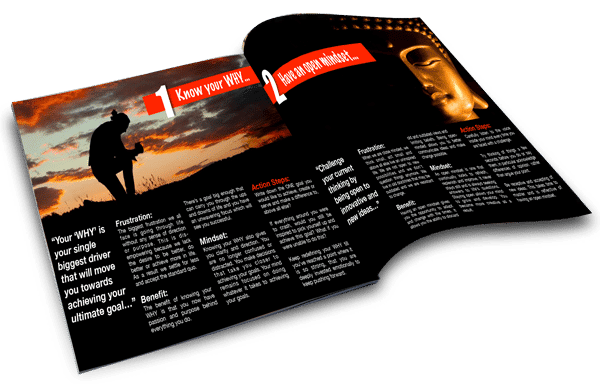 For a strictly limited time you can get a FREE copy of our exclusive guide: ‘8 Bulletproof Ways To Escape Your 9-5 Without Risking Your Income In 90 Days’. 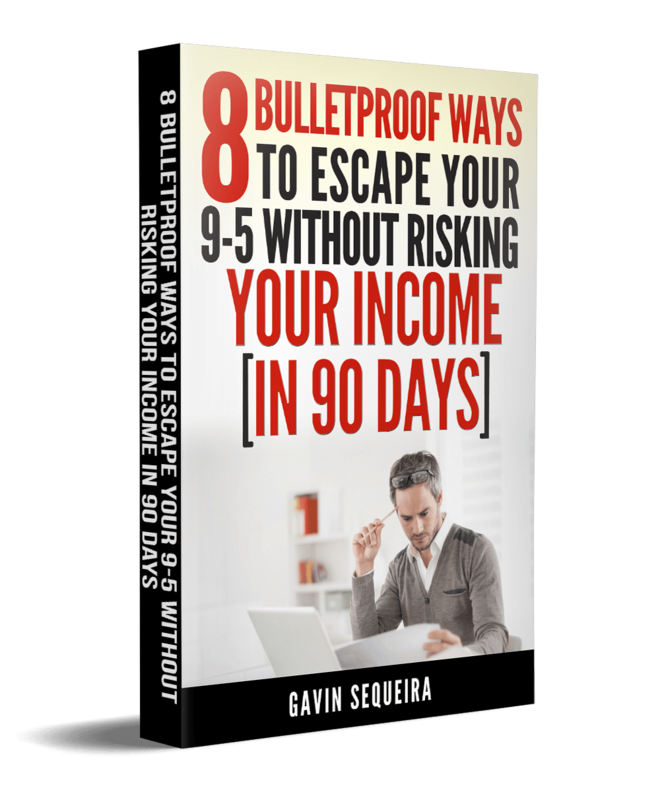 In this you’ll discover..
8 bulletproof ways to plan your 9-5 escape in the next 90 days so you can have your life back – Not 89… or even 91… exactly 90 days! You can NOT build a successful business without lots of money… time… luck… and skill, right?… WRONG! – Page 25 explains why. 3 little-known factors trapping 98% of corporates in the daily grind… You’re likely suffering from #2 right now! SEND MY FREE REPORT NOW!